I’ve been developing themes since 2005, and I cannot tell you how frustrating it is to hear hosting companies “blame the theme” when any error arises, because they do not understand how WordPress works, and in some cases do not even know plugins exist. The number one culprit for any sort of error on your site is usually a plugin conflict. This means that one of your plugins is causing either your theme, or another plugin to malfunction. Before you take the time to deactivate your plugins, you can use Chrome Developer Tools to find most errors. 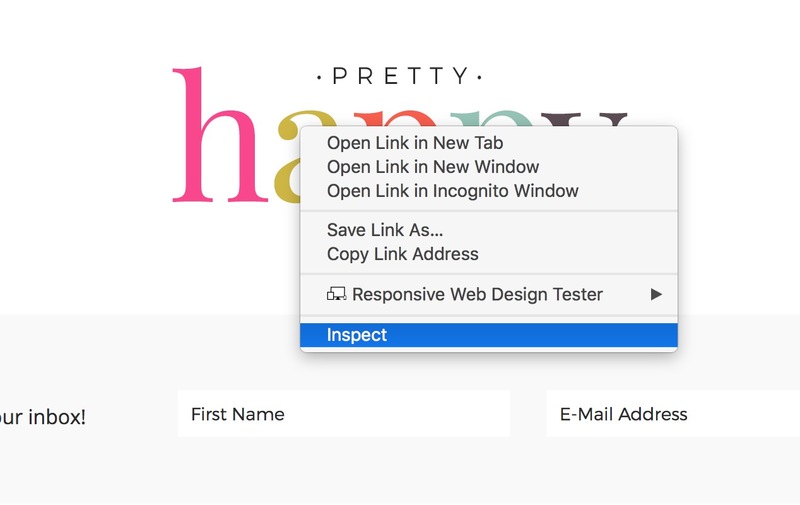 Simply right click on the area of your site experiencing problems, and then select Inspect from that menu. From there you’ll have several tabs to assist you. Most errors are found in the Console tab. In order to narrow down which plugin it is, or if it’s a plugin at all, take the following steps. Clear any caching plugins you have installed. Do a hard refresh. (command+shift+r). If your issue is remedied, you can definitively say it’s a plugin causing your problem. Now it’s time to reactivate plugins to find the problem. Do this one by one. After activating each plugin, do a hard refresh, and view your site to see if the error reappears until you find the culprit. Once you discover the problem plugin, delete it completely from your site. Clear your caches again. If it’s a plugin you’d like to keep, contact that plugin’s support desk and let them know you took steps to eliminate any other plugins being the cause. A lot of hosting companies have server side caching these days, so you’ll also want to check with your hosting company to ensure they’ve cleared/deactivated any caching in order for you to properly troubleshoot. If you use Flywheel for hosting, and I highly recommend you do, it’s as simple as toggling a button off/on in your dashboard, or hitting the “flush cache” button. Gosh their user interface is so clean, organized and dreamy! Diff Checker. You can compare the original CSS with your current CSS and look for discrepancies that may be causing your issue. Another fantastic tool is CSS Lint, you can paste your CSS into the box and it will show you any errors you may have, something as simple as a missing ; or } can turn your site into a hot mess, so this tool is especially helpful for sanity. There you have it, my favorite tools for troubleshooting any problem you come across while working on your WordPress site. Are there any tools or services you use that I missed here? Leave ’em in the comments below, I’d love for this to be a solid resource for all of you to come back to anytime you have a problem. Thank you. I am just trying to figure out how to change the font size on my website. I have the Pretty Happy theme and it just seems too large. I see you’re also using a plugin that affects your font, so be sure you either deactivate that, or adjust sizing there if it gives you that option. Thank you so much, this definitely helped make it better than it was.